NCB’s areas of work span over the entire spectrum of cement manufacturing and usage – starting with geological exploration of raw materials through the processes, the machinery, the manufacturing aspects, energy and environmental considerations to the final utilization of materials in actual construction, condition monitoring & rehabilitation of buildings and structures. NCB serves as the nodal agency for providing the Government the necessary support for formulation of its policy and planning activities related to growth and development of cement industry. It is devoted to protect the interests of consumers of cement and concrete in the country. NCB’s stakeholders are Government, Industry and Society, who perceive NCB’s role as discharging national responsibility, providing adequate technology support and improving the quality of life respectively. Our role can be best summarised in our vision and mission statements. To improve the management of materials, energy and environmental resources. To develop competency and productivity in human resources. 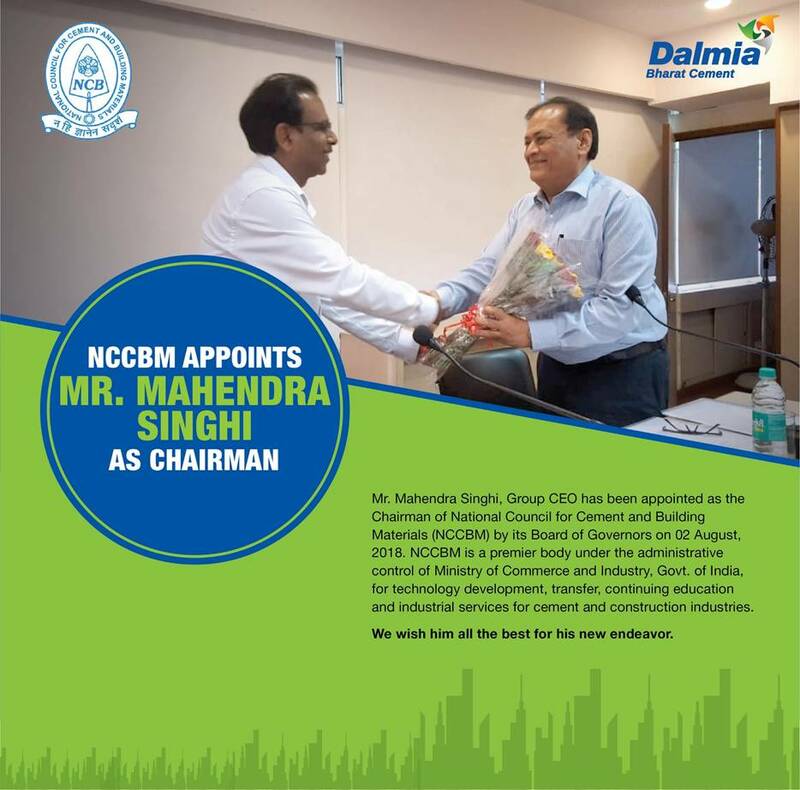 Management of NCB is entrusted to a Board of Governors, which consists of representatives of cement manufacturers, government of India and consumers of cement. Identification of research projects in NCB is carried out through the process of technology forecasting, references from industries and the government, seminars etc. The project programme is finalized after direct consultation with industry and deliberations in the Research Advisory Committee (RAC). The projects are executed by non-hierarchical multi-disciplinary teams. Besides Programmed Projects, NCB also undertakes Sponsored Projects, at the specific request of an organization, on cost-basis.